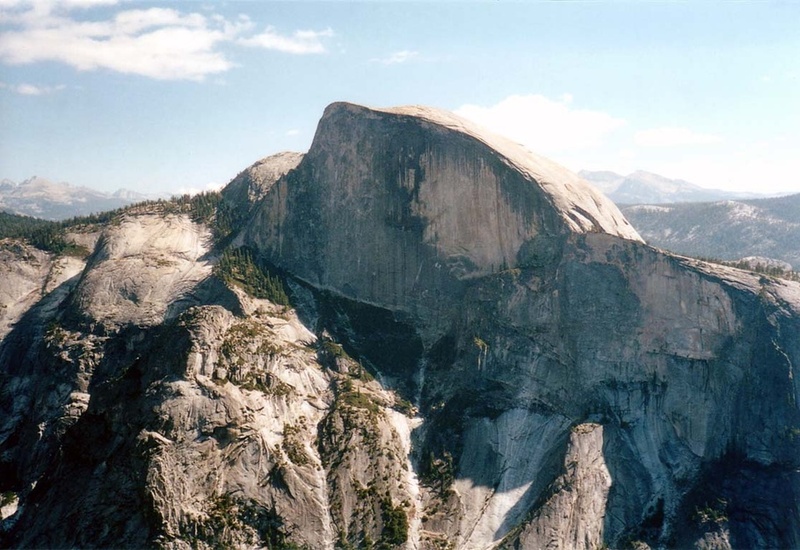 Half Dome is a famous granite dome in Yosemite National Park at the eastern end of Yosemite Valley -- possibly Yosemite's most familiar sight. 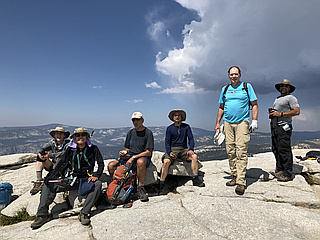 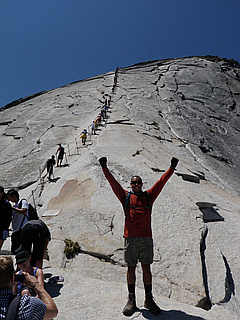 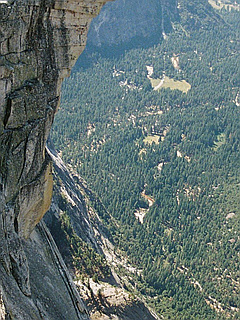 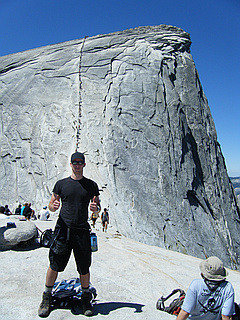 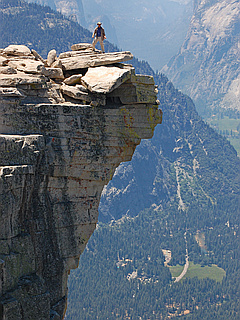 The granite crest rises more than 4,737 ft above the valley floor. 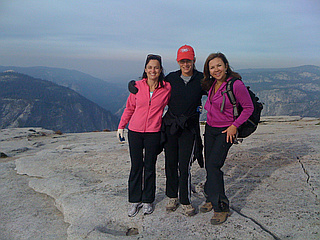 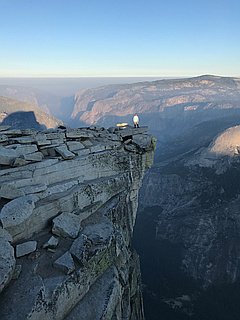 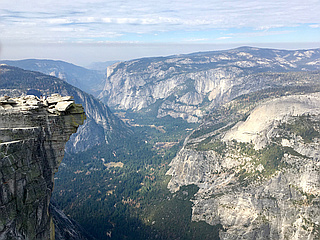 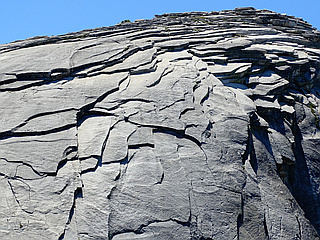 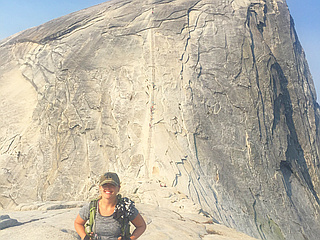 Thousands of hikers reach the broad flat top of Half Dome each year by following an 8.5 mile trail from the valley floor. 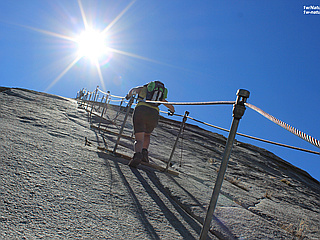 The trail climbs past Vernal and Nevada Falls and then with the aid of a pair of steel cables ascends the final pitch up the peak's steep granite east face. 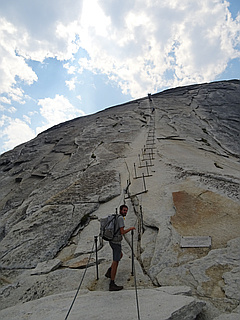 In past years, as many as 1,000 hikers per day have sometimes climbed the cable route on a summer weekend and about 50,000 hikers climb it every year. 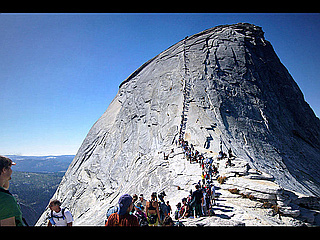 In January, 2010, the National Park Service announced that permits will be required to hike the cable route on Fridays, Saturdays, Sundays and federal holidays. 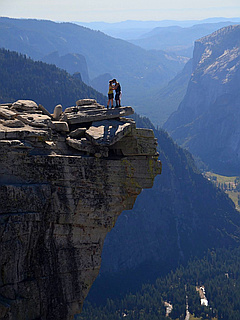 The park service cited safety concerns and increased crowding on the route as reasons for the new regulations.